On a cold rainy night in 2011, Craig Streit and a couple team mates quietly crept into LA, grabbed a set of Dog Tags and escaped across the Arizona border. 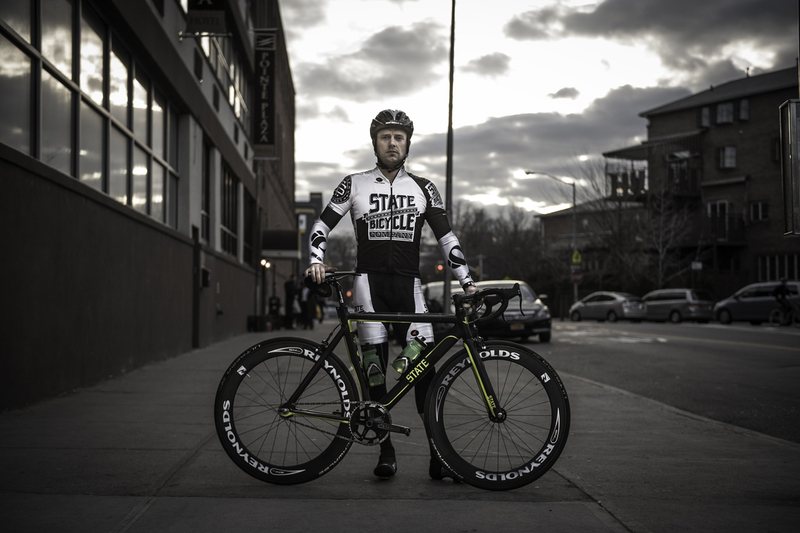 Ever since, Craig and his team, State Bicycle, have made it a point to disrupt any plans to keep the Dog Tags within city limits again winning 1st Men’s Fixed and 2nd Overall at this year’s Marathon Crash Race. Iowa raised, Craig moved to Arizona in 2001. Over the years he’s ridden in group rides, local fundraiser rides, mountain bike trips, a Trans-America ride and ten years ago, he got into competitive road racing. For Craig 2007 is when he began to get serious about road racing and moved from Cat 4 to Cat 1 (In sanctioned races, Cat 1 is considered “the best of the best”). “I started racing on a Velo Vie, which was owned by Homay Farsi, Mehdi's father. I built a relationship with Homay and over the next 4 years I raced on a Velo Vie.” At the same time, he went to the World Track Championships in Carson, CA and got hooked on track racing. “It was the coolest thing I had ever seen. I purchased a track bike the week I got back. Unfortunately, there isn't a track in AZ so I would only get 2-3 track weekends a year and the occasional fixed crit.” Homay introduced Craig to Mehdi when they started State Bicycle Company (SBC) and asked him if he’d race fixed for them. At first, it was a local crit race or two, but then, it blossomed into events like the Marathon Crash Race. “Every year, State Bicycle Company finds new, awesome events!! !” One on One with Craig Streit: What/Who influenced you to pursue racing? Why? I guess I can't really put my finger on a specific person or event. I'm a competitive person so racing was just a natural progression. What have been your results this year in "sanctioned" and "unsanctioned" races? 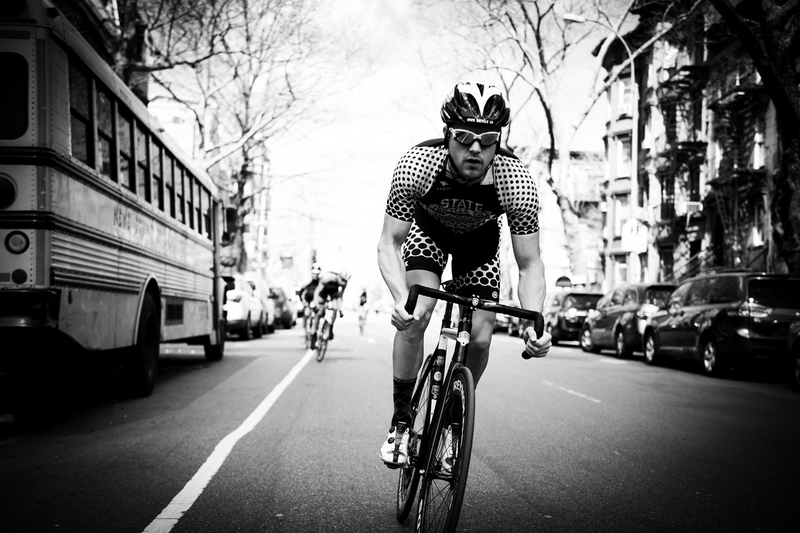 I've had a great season so far both with my Body by Vi road team and State Bicycle Co. Fixed team. Here are a few of my results: Road: Fixed: Avondale Crit #1 - 2nd (35+) Not So Underground Crit - 1st U of A Crit - 4th (Pro/1/2) Wolfpack Hustle Marathon Crash Race - 1st Sun Devil Crit - 1st (Pro/1/2) Red Hook Crit - 11th McDowell Circuit Race - 2nd (Pro/1/2) El Tour Twilight Crit - 1st Avondale Crit #2 - 2nd (35+) Red Bull Road to Ride in Style - 1st Avondale Crit #2 - 5th (Pro/1/2) San Tan Crit - 1st (Pro/1/2) El Tour Twilight Crit - 1st (Pro/1/2) Tour de Mesa - 1st (overall) What do you think about when you train for races? For the most part, NOTHING. Riding is my time to relax and forget about the world. There are definitely times that I replay past races in my head... and imagine future ones. What interests do you have outside of cycling? Cycling is by far my biggest hobby (lifestyle); however, I also enjoy hunting/shooting, camping, hiking, climbing, and motorcycling rides... basically anything out door or that involves adrenaline. What is your all-time favorite racing moment to this day? Probably winning the Cat 3 overall at Superweek. It's a 16 day long race series in the Chicago/Milwaukee area. It was back when I was a Cat 3, but it was such a great experience to race every day for 16 days in a row. It was my first really big win against riders from all around the country. And it's close to home, Iowa, so a bunch of my family was able to come watch parts of the series. What are you looking forward to this year whether in "sanctioned" races or "unsanctioned"? On the roadside of things, I'm looking forward to the Memorial Day Weekend Races back in Iowa (specifically Snake alley.... look it up), Tulsa Tough, and hopefully Boise Twilight. 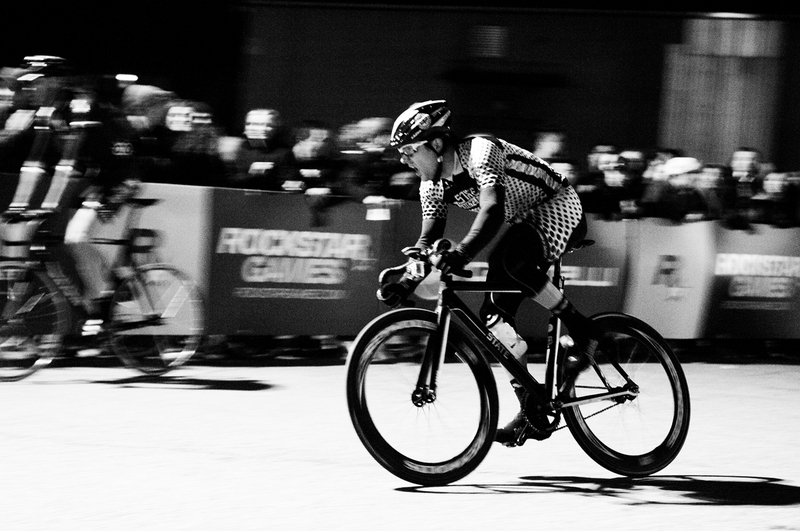 I'm super excited about all the new cool fixed gear races/events. The Unified Title Race Series is an awesome series. I'm hoping to make it to Europe for at least one more of the Red Hook Events, maybe both. Lastly, Puerto Rico was an awesome trip this past fall and I'm hoping to return again. If in 2014 the UCI decides to move forward and enforce the unsanctioned rule how will you react considering all your latest work in unsanctioned racing? I haven't really given it too much thought. I have a really hard time believing it will ever come to be enforced. There are just too many races outside the USAC and UCI that can and will push back on this rule. It's just a sanctioned vs. unsanctioned issue. There are plenty of events that are sanctioned by different bodies that would also be affected (mountain and cross events, grand fondos, etc.). I'll cross that bridge when/if needed.